Deep in the hills of Tennessee, midway between Nashville and Knoxville lies a little community called Muddy Pond. During September and October, you can smell the aroma of freshly made sorghum syrup being made by the Guenther family. 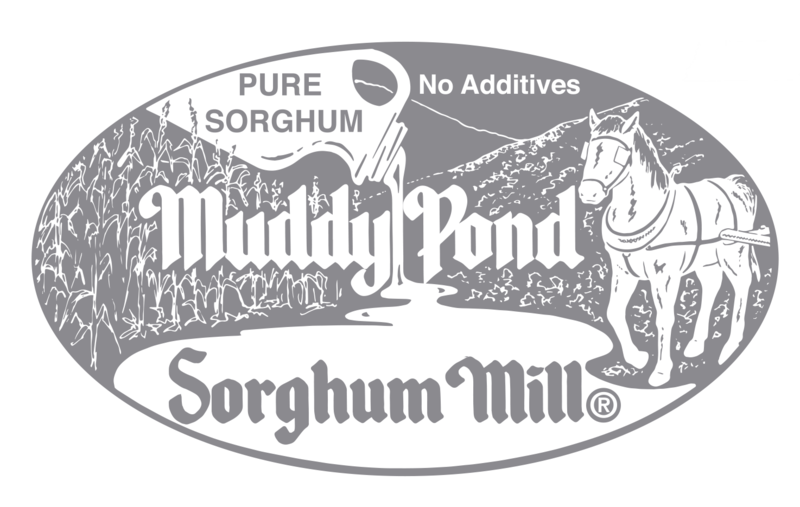 Stop by the Muddy Pond Sorghum Mill and watch step by step as sorghum syrup is being made. After making sorghum syrup since the mid-1960s with others in the community, John and Emma Guenther started the family operation in the early 1980s. Three of their sons; Mark and wife Sherry, Pete and wife Doreen, and Eddie and wife Ruth run the mill now. John Guenther passed away December 22, 2018. Several of the grandchildren help at the mill, firing the boiler, bringing wood down from the pile, filling containers and labeling jars. As the years have passed and the demand for sorghum has increased, we have gone from cutting the cane by hand, with a machete, to harvesting with a machine that is pulled behind the tractor. 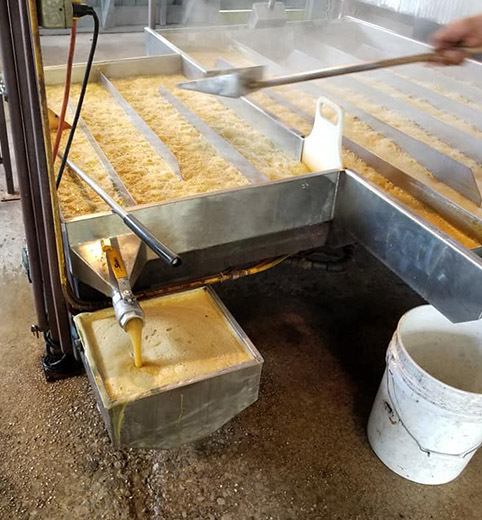 The machine cuts the cane and a press squeezes the juice out and pumps it into a tank that is pulled behind the machine. The tank of juice is taken to the sorghum mill and pumped into a holding tank. It is preheated overnight, and early the next morning we start boiling it. The juice is cooked in a 22 x 8-foot evaporator pan. It is heated by steam produced by a wood-fired, steam locomotive boiler. The finished product is then cooled and bottled, ready to pour on some hot biscuits. Muddy Pond Sorghum Mill is in Operation and Open, Saturday before Labor Day, Labor Day (Monday). Closed Tuesday (the next day after Labor Day). After that we are in Operation and Open every Tuesday, Thursday, and Saturday in September and October.